Is the time window for primary PCI different from thrombolysis ? Time is muscle .This may sound as an old fashioned statement now , for many of us. But the fact remains. Every minute following STEMI , myocytes keep losing it’s life one by one unless , the intervened. * Most have a strong belief that the natural forces are incompetent to lyse a small thrombus within our coronary arteries ( While , we fully realise natural forces like the Tsunami can wash out the entire ocean floors ) . Never under- estimate the force of nature ! Balloons are not privileged ! It is widely accepted , a time window of up to 12 hours is optimal for reperfusion. Beyond that time , there is no point in reperfusing the muscle as it might have died. While , the majority of cardiologists agree to this and they promptly refuse to thrombolyse , if the patient comes 12 hours after an onset of STEMI .They are labeled ” late on arrival” and coded as ineligible for thrombolysis. Such lysis ineligible patients become automatically eligible for primary PCI . . . It is curious to note , the time window for primary PCI is also less than 12 hours is strangely forgotten. 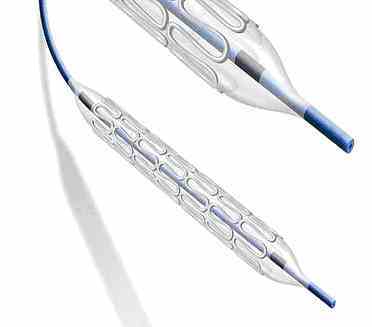 It has become a prevalent practice by all unscientific means , most cardiologists extend the time window for primary PCI well beyond 12 hours , some even up to 36-48 hours. No wonder . . . then why open artery trial (OAT) miserably failed . Even a novice can predict the out come when one tries to resuscitate the dead muscle . Myocardium does not behave in a privileged manner during a STEMI. It simply does not bother about the way by which it is going to be rescued and reperfused .All it needs is a timely help. It can not extend its life just because it is being rescued by a sophisticated modalities like pPCI. If the patient is late for thrombolysis , he is late for primary PCI as well . Please do not change the time window in STEMI according to our whims and fancies . It is an unscientific and unprofessional way to practice cardiology . Importance of common sense in cardiology : Let us name heparin as a thrombolytic agent ! Heparin was invented accidentally by a 26 year old , Jay McLean, a pre clinical medical student in 1916 .It was one of the greatest discovery in medicine .It helped us prevent blood from clotting.Frozen blood inside human circulatory system constituted one of important mechanisms of human death.This ranged from acute myocardial infarction to cerebral thrombosis . As we decoded the mechanism of action of heparin , it was clear it bound to the naturally occurring molecule antithrombin 3 and effectively blocks the intrinsic coagulation mechanism and thus behaves as an important anticoagulation agent. How heparin acts as a thrombolytic agent ? We know , our hematological system has a powerful natural fibrinolytic mechanisms to protect against unwarranted( pathological ) intravascular coagulation. This is mediated by anti thrombin, protein C , protein S , plasminogen system etc . Natural concentrations of tissue plasminogen activator (Tpa) also help in lysing intravascular clots. There is a constant , delicate balance between procoagulant , anticoagulant and antifibrinolytic molecules .Intra vascular clots occur when a vascular injury triggers a clot formation and the clinical event occurs. But, once insulted , the circulating blood does not remain a silent spectator . It is constantly on the look out for a foe to attack the thrombus that is interfering with its natural flow . Antithrombin 3 is one such molecule. Success of lysis depends on the power of natural forces. There are hundreds of episodes of microlysis that take place every day (Which happen without our knowledge ) .In patients with vascular disease these episodes are likely to be further more. What does Intravenous heparin in high doses do ? Heparin immediately blocks of powerful procaogualtion activity .One of the important heamatological principle is “Thrombus begets thrombus “. It is a vicious cycle. This is immediately tackled by heparin .The powerful trigger of thrombus induced thrombus propogation is shut off . This makes a 2 cm sized clot to remain in 2cm . After making sure of this , the blood in the immediate vicinity start percolating the clot. The heparinised blood switches to a pro- fibrinolytic mode as the balance of forces is fully tilted in favor of fibrinolysis or thrombolysis. Is there clinical evidence to call heparin as thrombolytic agent ? Yes . Contrary to the popular scientific principle we have only clinical evidence . laboratory evidence is not convincing as heaprin lyses clot only in vivo . Since , evidnece based medicine requires laboratory evidence we hesitate to call this as thrombolytic agent ! (or totally dissolve ) with intensive heparin regimen .The effect is seen in 48-72 hours.Some times in first 24 hours. What are the clinical situations where heparin has successfully lysed the clots*? 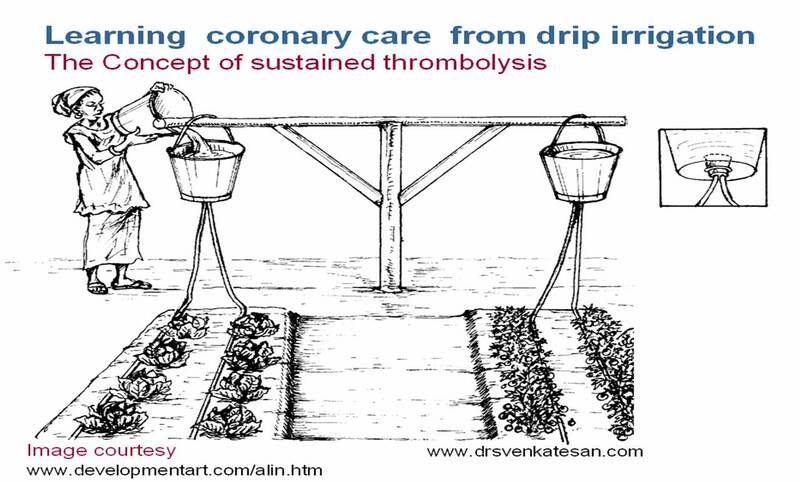 If it is true , heparin dissolves thrombus , why it is not called as thrombolytic agent ? Why not ? You decide yourself ! 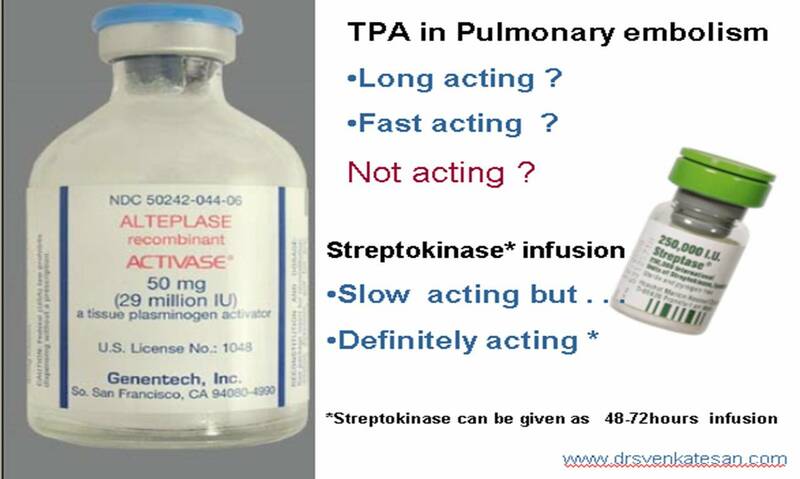 How does heparin compares with the great thrombolytic agents* like Strepotiknase, Urokinase,Altepase, Retepalse , Teneckteplase (TNK TPA) ? Many (Rather most . . .) would consider it , as foolish , to compare heparin with these agents .But the fact of the matter is except for streptokinase there is no comparison studies available. Attempting such a study in humans will be considered unethical. Without a proper scientific data heparin can not be ignored either. But , some of the control groups in major studies of thrombolysis through some light ! 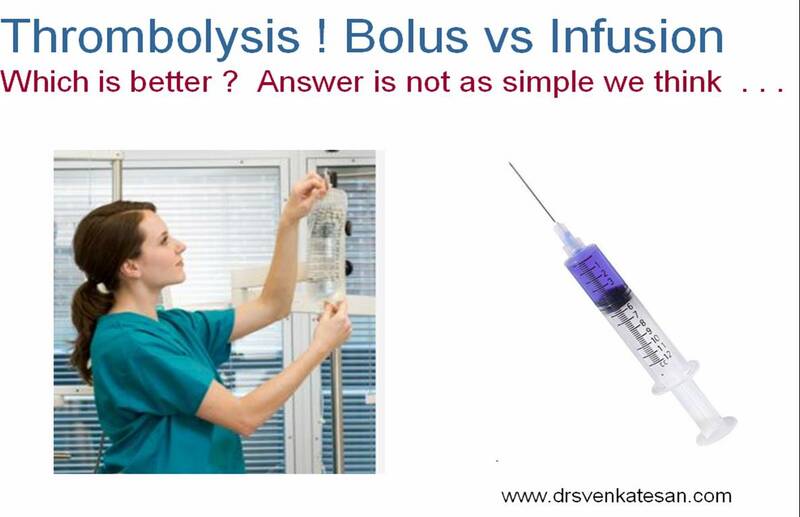 An important point to remember here is , the powerful thrombolyic agents are administered in as short duration (Bolus / 1 hour infusion ) .This is invariably followed by heparin infusion . Why do we do that ? because we know it is important . One may never know , how much of lysis is done by the trhombolytic agent and how much by heparin . Early heparin prevents formation of core of the clot .The importance of acute administration of aspirin in suspected STEMI is well recognized by paramedics . A bolus of heparin (10000 u) immediately could have great impact on the outcome as well .Paradoxically we talk more about emergency PCI, on transit TPA etc . . . We have seen number of patients referred with STEMI from suburban areas traveling for hours with out any anticoagulants but promptly getting sorbitarate tablets ! Unfortunately prehospital heparin is rarely stressed in literature . Heparin is an under rated drug as a thrombolytic agent. It’s usage should be early and liberal , especially in out of hospital setting in vascular emergency. Note of caution : This article is not meant to defame the thrombolytic agents.It only stresses a point that , heparin has also a role , as a thrombolytic agent. *Whenever rapid thrombolysis is required in life threatening situations specific thrombolysis is indicated as per guidelines. What is pannus formation in prosthetic valves ? What is the clinical significance ? Prosthetic valve obstruction is an important complication of artificial valves.The incidence of prosthetic valve obstruction is estimated to be 4% per year. Pannus literally means a hanging flap of tissue. It is is a membrane of granulation tissue as an response to healing.It can occur anywhere in the body. When it occurs in the prosthetic valve tissue interface it has important consequences.It is same as excessive scarring , ( something similar to keloid formation ) . How do they clinically present ? What are the determinants of pannus growth ? Time is the major determinant. minimum period required is 12 months. It is a avascular mass.It should be noted a injured pannus can predispose a thrombotic process and a chronic thrombus can trigger intravascular growth factors that promotes pannus growth. What is the direction of growth of pannus in prosthetic valve ? The pannus grows , usually in the tissue valve interface.It tracks and creeps along the suture lines .Generally this does not encroach the valve orifice or chamber sapce , but occasionally the hanging edges can hit upon a leaflet.This is more common with tilting disc on the side of minor orifice. When excessive it can make a valve leaflet almost standstill. How common is pannus formation in starr edwards valve? Is relatively uncommon as the dynamic ball periodically interrupts the process of pannus in growth within the orifice. Why is recognition of pannus important ? Prosthetic valve thrombois is amenable to thrombolysis and it should be proptly differentiated for pannus.This is many times a difficult excercise, but the above observation will be helpful.